Bring out the tomato soup! How do we even begin to explain the beautiful invention of food blogger Amy of OhBiteIt? 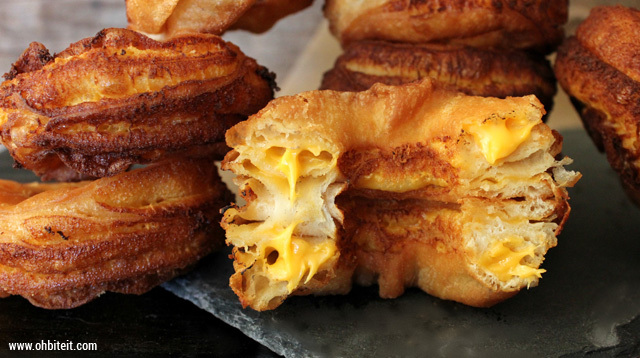 She calls her glorious creation the "Grilled Cheese Crescent Donuts" or the "Grilled Cheese Cronuts." They're sweet, savory, and definitely sinful all at the same time. The recipe only calls for three main ingredients: ready-to-use dough, cheese, and oil for frying, making these cronuts so darn easy (and dangerous) to make. Check out the full recipe here! So what do you think of this new foodie mashup, CGs?